Supplier List;Supplier Module; Editing Supplier Record - Bar code inventory control solution. for managing inventory in your stock room, warehouse or distribution center by tracking inventory as it is received, and dispatched. 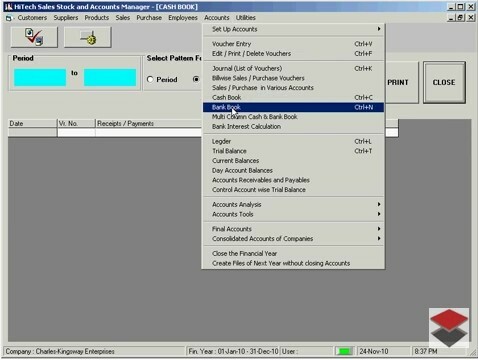 Accounting module is also included. - Accounting Software, Billing Software, Accounting Software, Invoicing, Inventory Control, Billing or Invoicing, POS, Inventory Control, Accounting Software with CRM for Traders, Dealers, Stockists etc. Modules: Customers, Suppliers, Products / Inventory, Sales, Purchase, Accounts & Utilities. Free Trial Download. 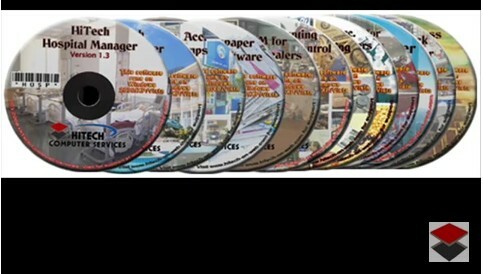 Invoice Software, Inventory Control Software, Invoicing, Accounting Software, Billing or Invoicing, POS, Inventory Control, Accounting Software with CRM for Traders, Dealers, Stockists etc. Modules: Customers, Suppliers, Products / Inventory, Sales, Purchase, Accounts & Utilities. Free Trial Download. Supplier List is the alphabetical list of the suppliers in the supplier database. 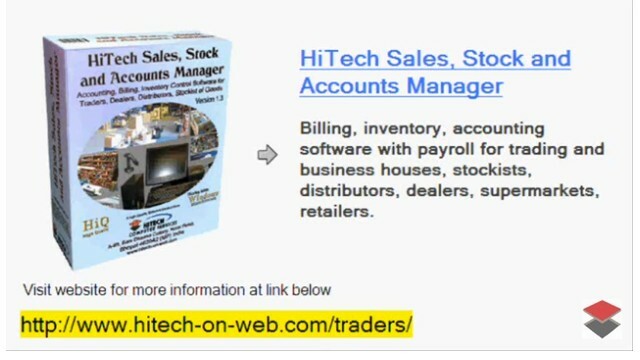 It displays names, addresses and phone / fax numbers of the suppliers. To prepare list of all suppliers press option button List All. To print the Mailing Address of the suppliers click on Print Mailing List command button. The address list of all suppliers will be printed. To edit any record shown in the supplier list first click the desired name in the supplier list or bring focus to the right name using the cursor and tab keys. When the supplier record you want to edit is in focus press Edit. command button. The supplier record will be displayed in Customer Record Form. You can edit the this record move to other records and edit or delete them as you desire. When you press Close. command button the program will return you to the supplier list. If you want to see the effect of editing in the supplier list immediately then press option Button List All. or choose appropriate option. The above feature is useful when some selected records from the supplier list are to be edited. To see help on printing the report please refer to : Print Using Hitech Print Engine .